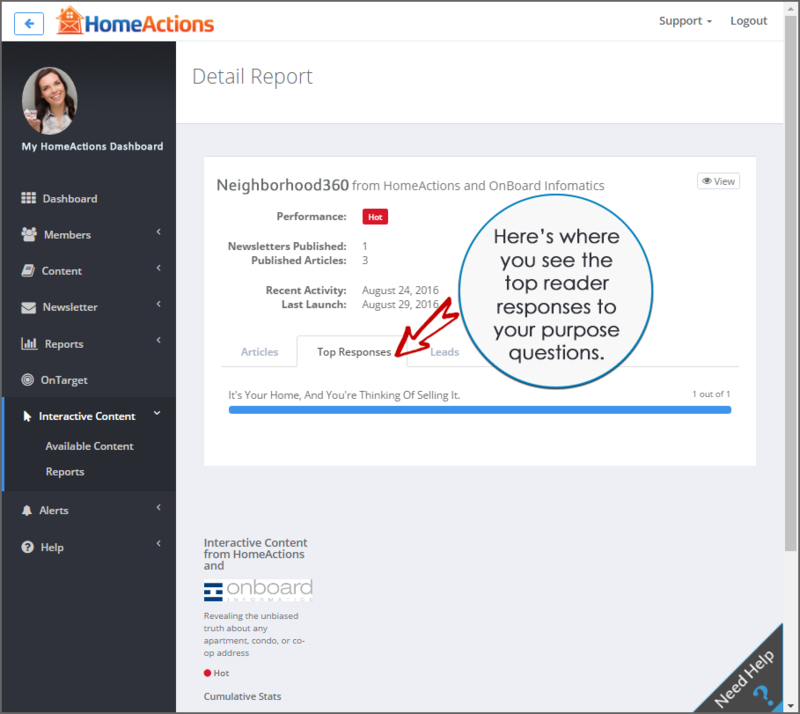 The HomeActions Customer Support Center is designed to create “Raving Fans” and give you easy access to questions about the HomeActions platform. 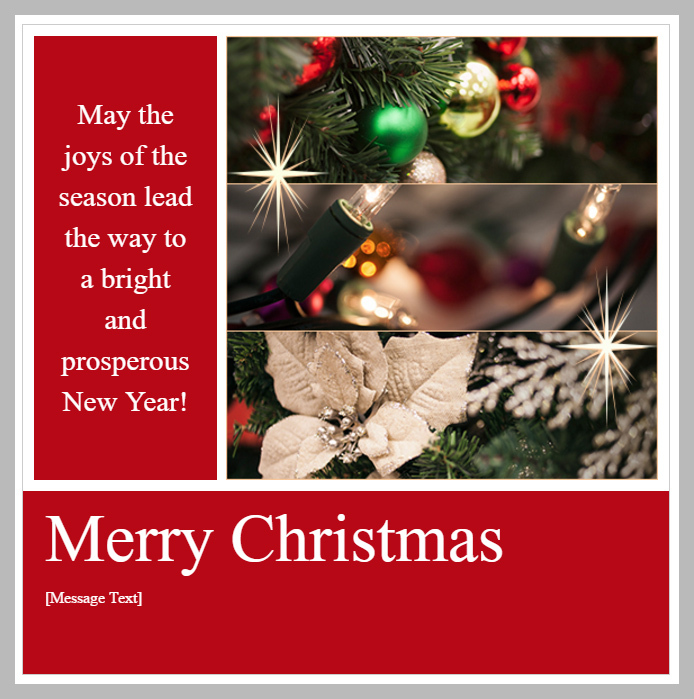 You can always call our Support Team at (240) 408-4002 and ask us for help. 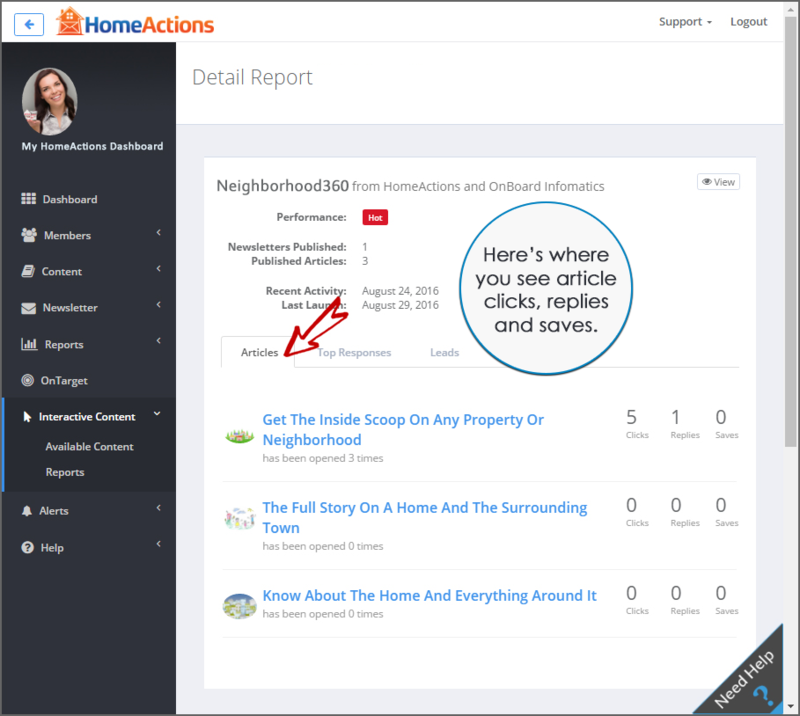 Opportunities generated from Interactive Content tools in your newsletter, like Neighborhood360, are easy to access. 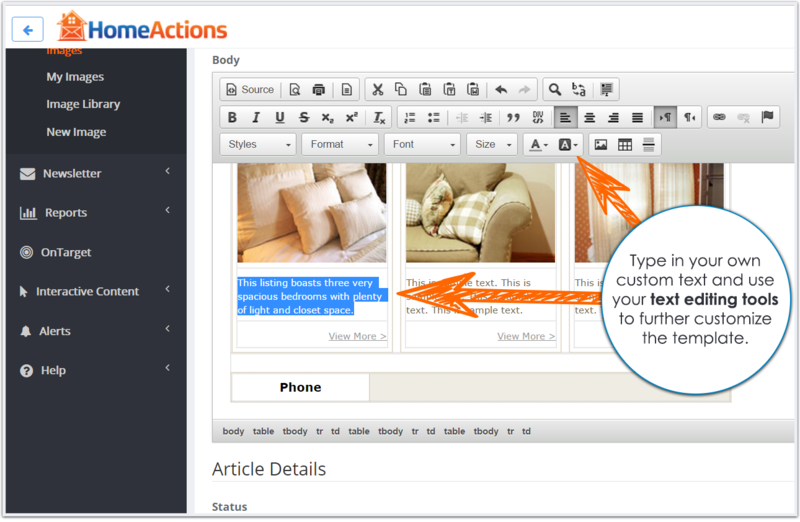 Log into your HomeActions Dashboard, go to the dark gray menu panel on the left, and select Interactive Content. 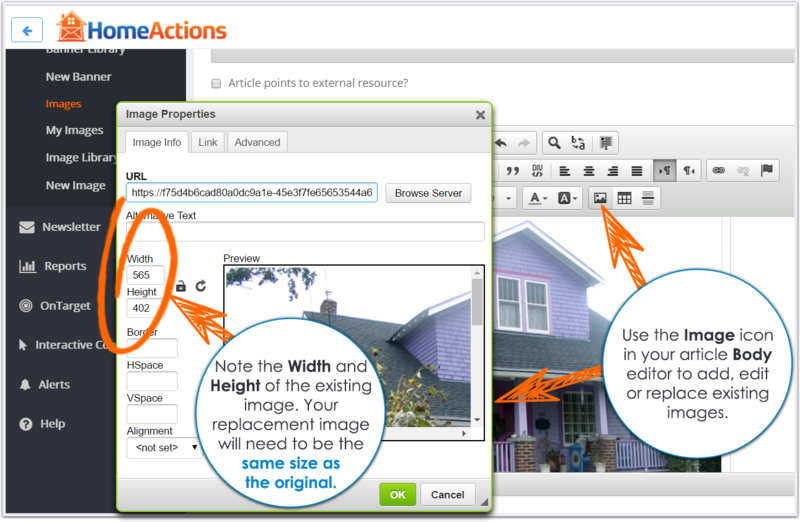 On your Overview Report page, click the white and gray Details folder icon on the far right. 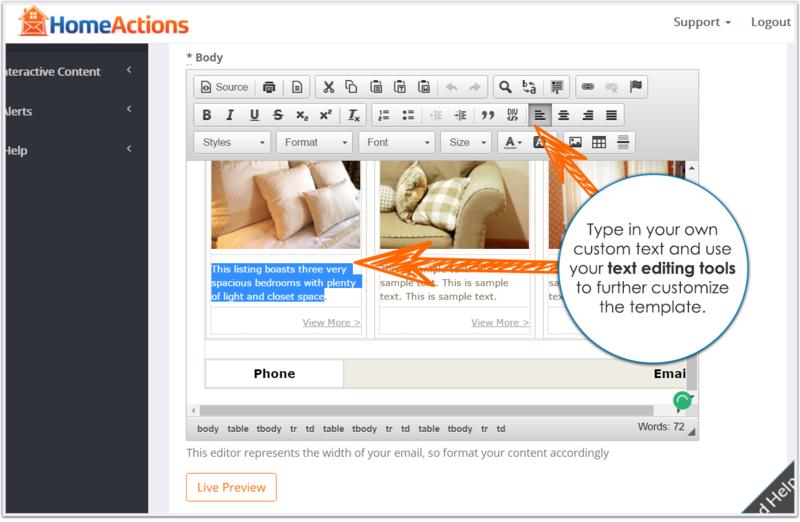 You’ll then see a list of each of your Articles that have launched in past editions of your newsletter. 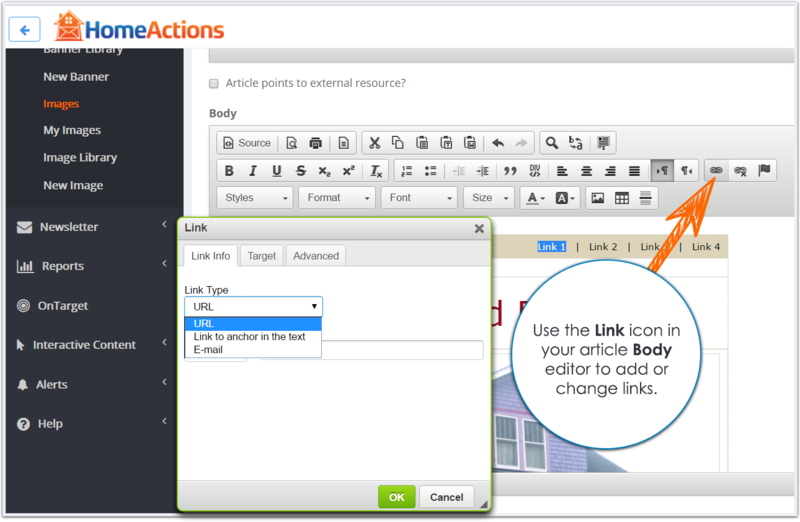 Here, you’ll be able to see article Clicks, Replies and article Saves. 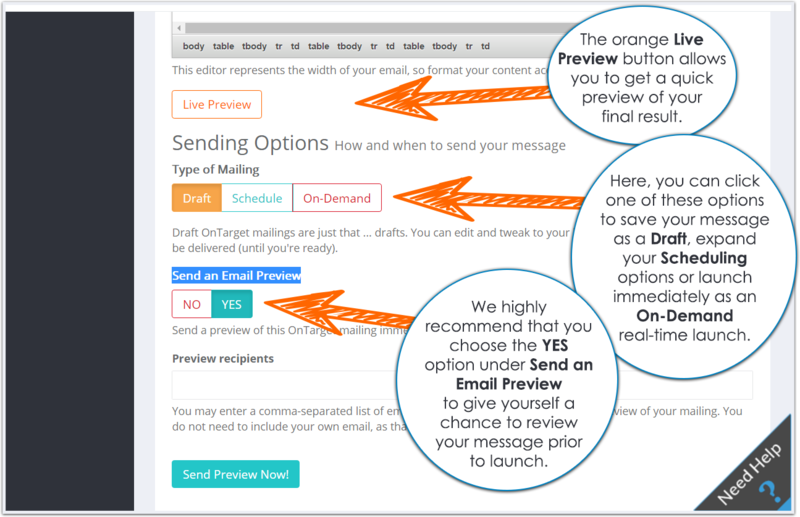 You’ll also be able to see your Top Responses and opportunities on the additional tabs. 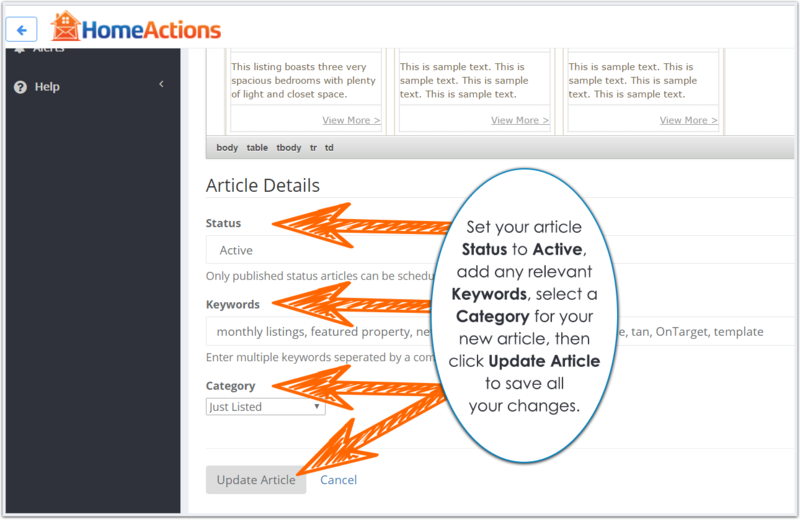 Use your opportunities tab to follow up on those who have completed Interactive Content forms. 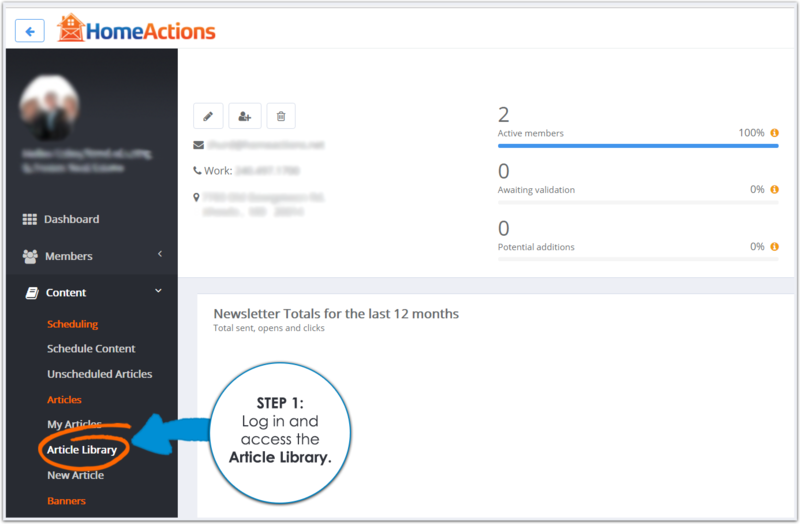 You can also go to Reports > Newsletters and click the Interactive Content menu option on the far right to see an overview of readers who have requested information. 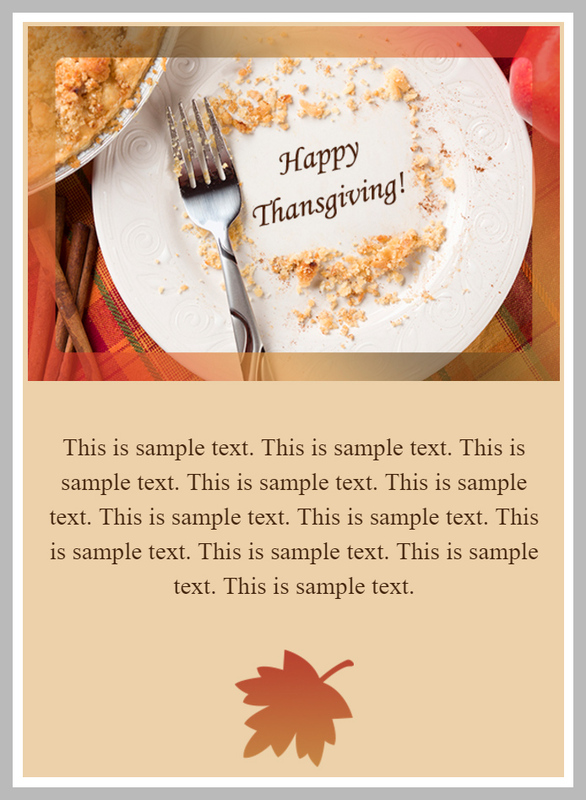 Click to expand the images here for additional instructions. 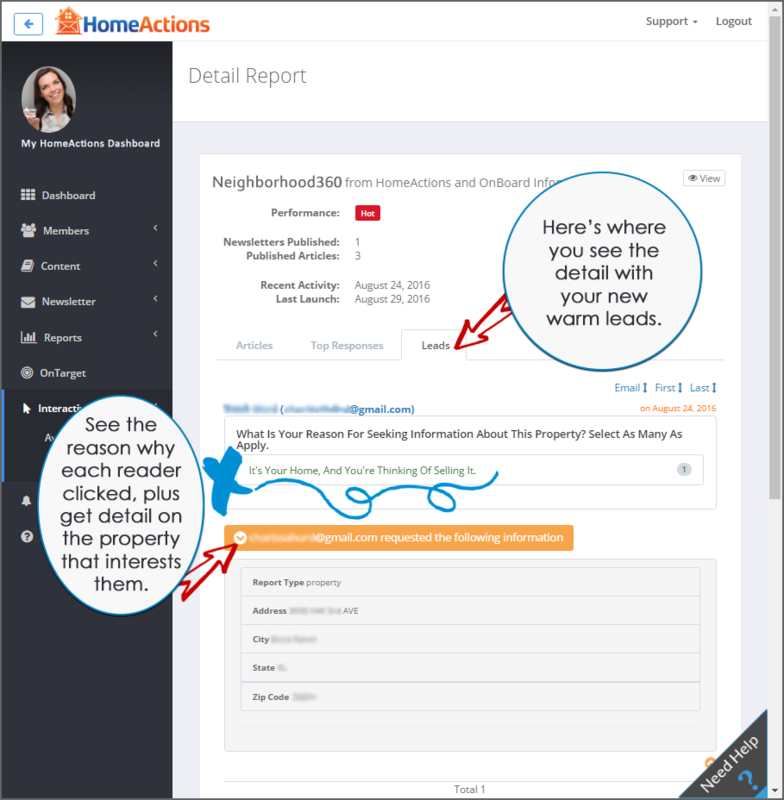 Do you have questions about Neighborhood360? 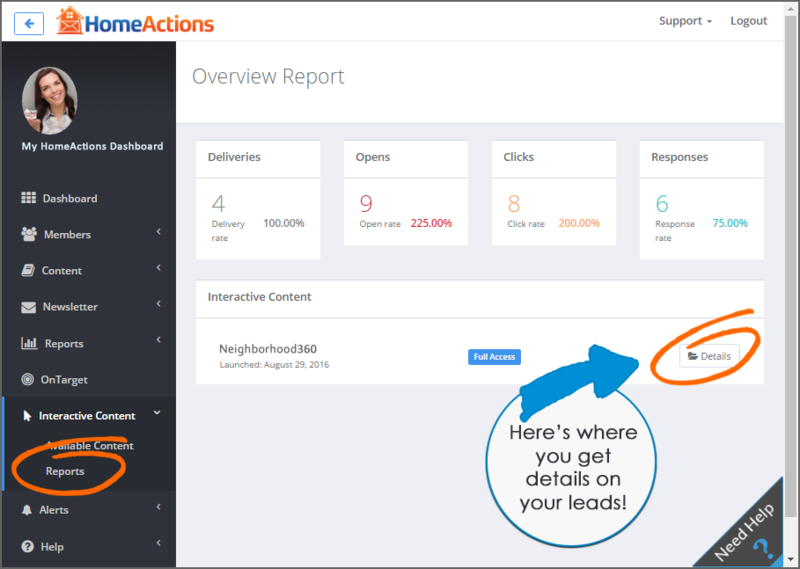 CLICK HERE to review our FAQs. 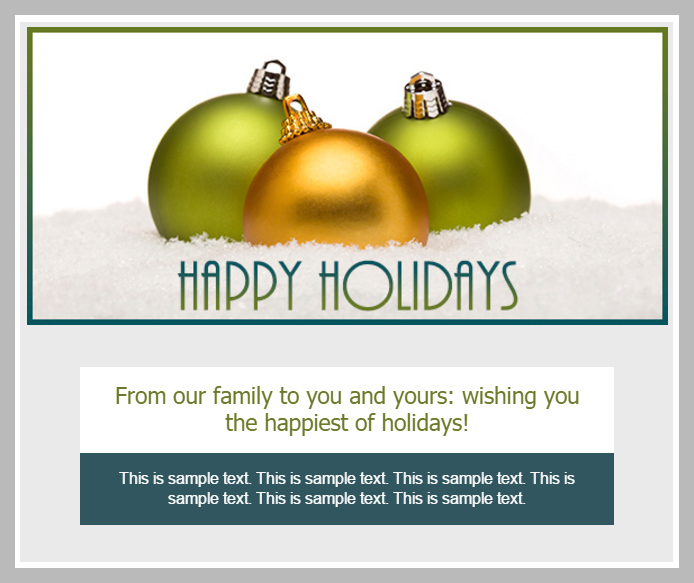 Here’s how to use the content in your new Announcements & Greetings – OnTarget Templates category. 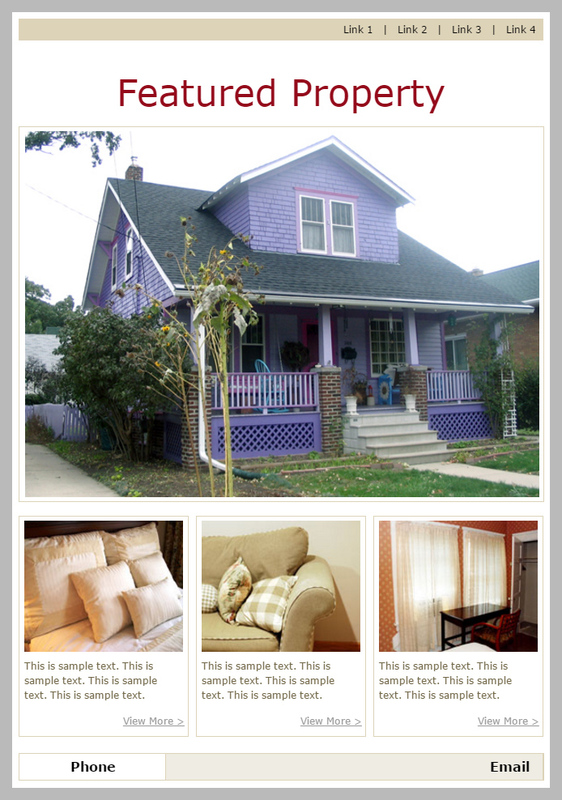 Click on the images here to expand and get a visual walk-through of instructions. 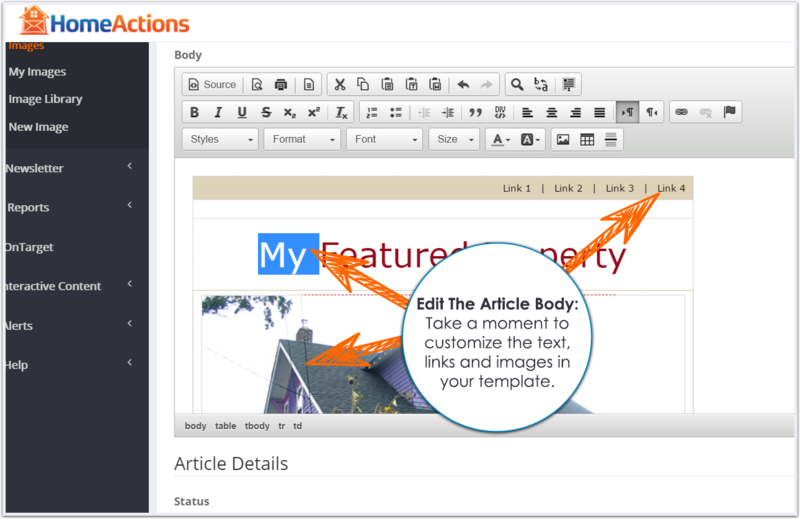 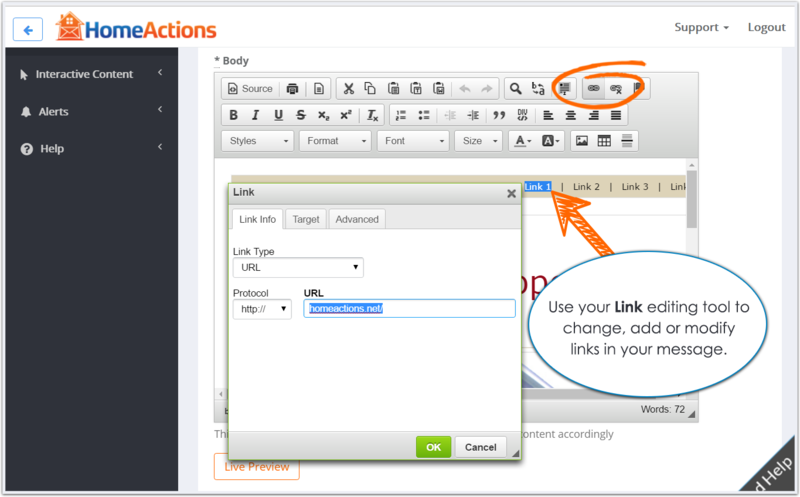 You may choose to make several small edits to customize your own article Title, Summary Image and Summary text. 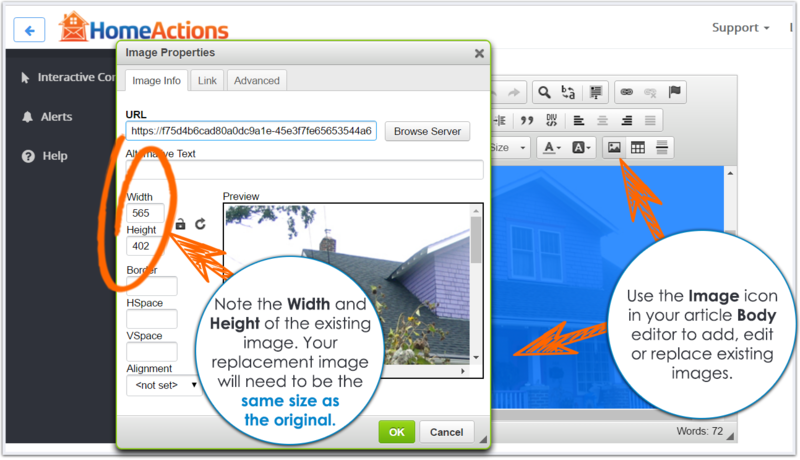 To get visual instructions, click on the images here to expand and scroll through for a walk-through. 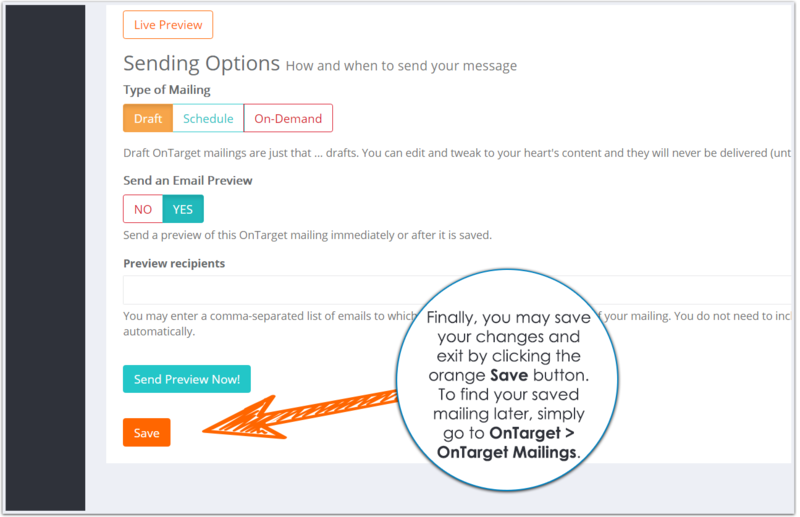 Want To Start Using Templates For OnTarget Email Blasts? 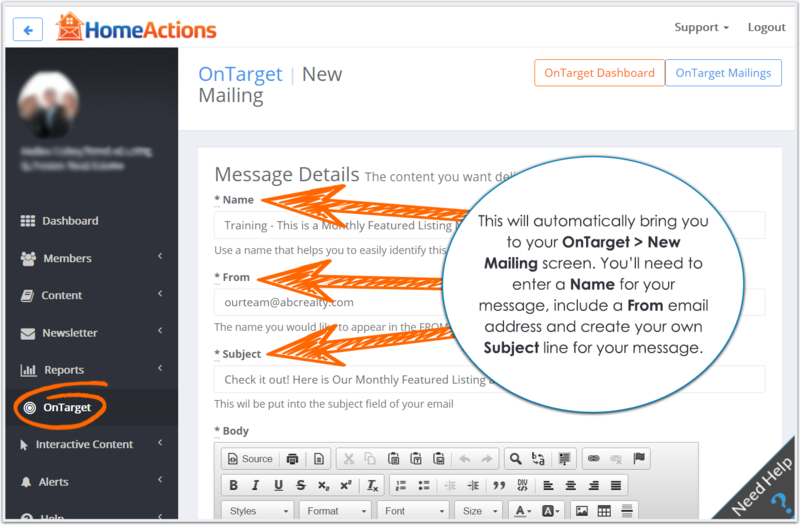 Click here to learn more about HomeActions’ OnTarget email blast feature. 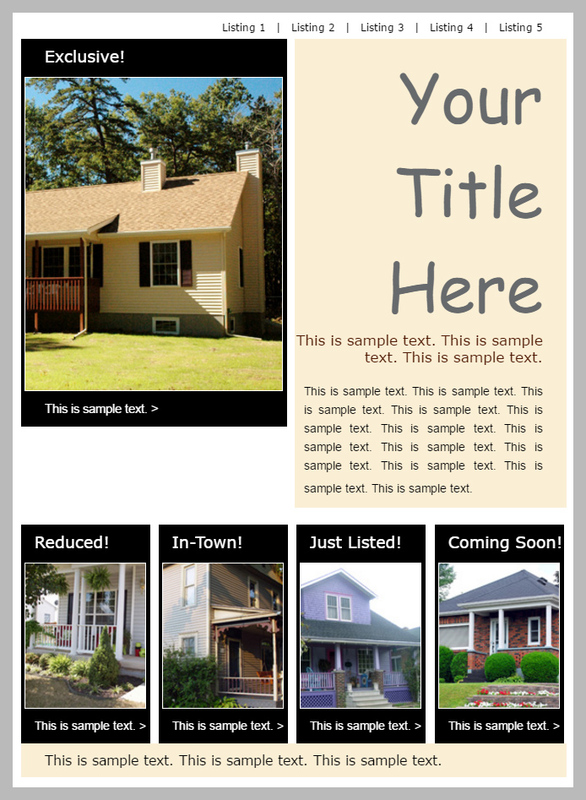 Click on the images here to expand and scroll through for template examples.